Later topic: Polymer Backing Options? 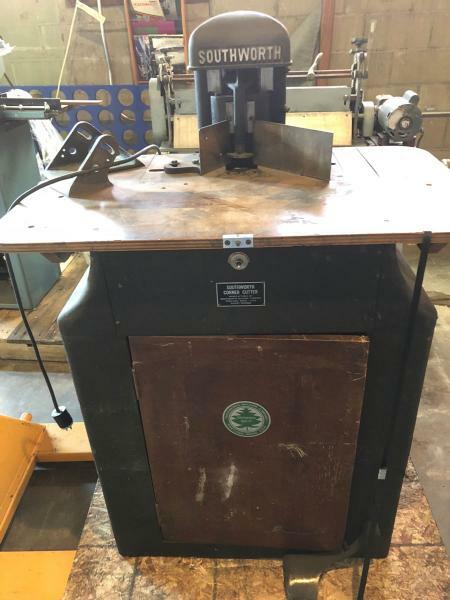 I’m looking to find a resource to purchase Southworth Round Corner knives and receiving dies for an old Southworth Round Corner machine I’ve recently acquired. I don’t see much of a model number anywhere on the equipment but have some photos of it. If anyone has any suggestions on where to look for knives or parts, I’d greatly appreciate it. Thanks John. Appreciate the suggestion! If you have any vendor suggestions, I’ll take them too. I think I need another part for the receiving die as well, based on looking at those parts. It You get really stuck, and have no joy with knife or knives, it is well within the bounds of possibility that a reasonably proficient Precision Engineer (given even a modest schematic Blue print or Drawing) could grind from *TOOL STEEL* Knive(s) to fit the bill.!! IF all else fails. Hello, I’m sure I have some knives but the flat bottom knife is another story. I Had one of those machines once… but refresh my memory…. there is a long screw that goes through the the work table…correct? and that screw puts pressure on the flat knife…but you are also missing a part that goes around the flat knife…I wont have that piece. Bud. If you have a good friend in a small to modest sized envelope manufacturer, they might tell you where they get their cutters, they are close kin to the things you need.